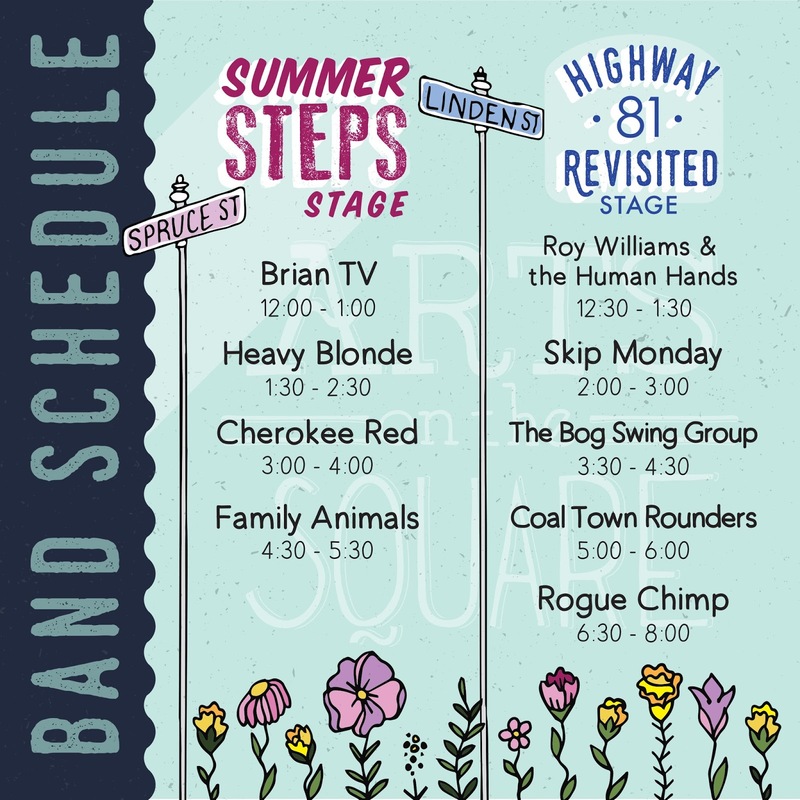 We’ve got the best music lineup for Arts on the Square thanks to our pals over at Highway 81 Revisited and Summersteps Records! They are once again hosting stages at AOTS and it promises to be a day of fun & lively local music. Check out the schedule below! See you at Arts on the Square! Don’t forget to visit our Facebook EVENT PAGE to get lots of fun updates!